The hero of this story is our first daughter “Malak". Malak was born with CDKL5 genetic syndrome first diagnosed in 2012. This diagnosis was heartbreaking! In August 2012 Malak arrived in our life like a ray of happiness and hope. After one month, Malak started experiencing different types of uncontrolled seizures that we did not know a reason for. We started going from one doctor to another. Each time we stepped into a doctor office we were hoping to find a diagnosis, unfortunately without success. After three and a half years of going in circles to discover what is wrong with our daughter, we finally found out a diagnosis “CDKL5 gene disorder.” CDKL5 is a rare X-linked genetic disorder that results in early onset, difficult to control seizures, and severe neurodevelopmental impairment, which means that Malak cannot walk, talk, communicate or use her hands. She has a visual impairment and feeding challenges. Recently, she had a feeding tube (G-tube) inserted, so she is totally dependent. There is no treatment for her disorder but she still can live and overcome her challenges by receiving continuous physical, occupational, speech, and feeding therapies twice a week. She regularly visits a primary care doctor, neurologist, optometrist, genetic physician, gastroenterologist, physical and rehabilitation doctor, and orthopedic doctor. unfortunately, she doesn't have Medicaid. 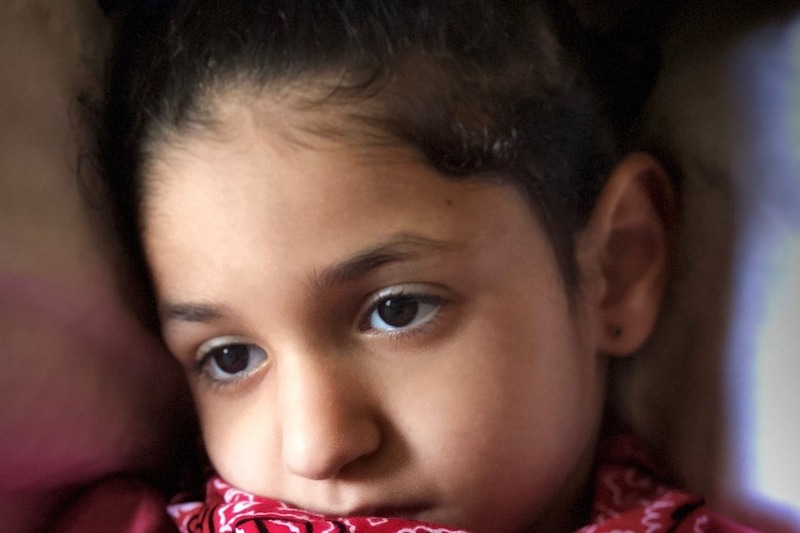 Malak is our angel, and she needs a lifetime commitment to keep her good and healthy. At the same time, her family needs to be healthy too to take care of her needs. 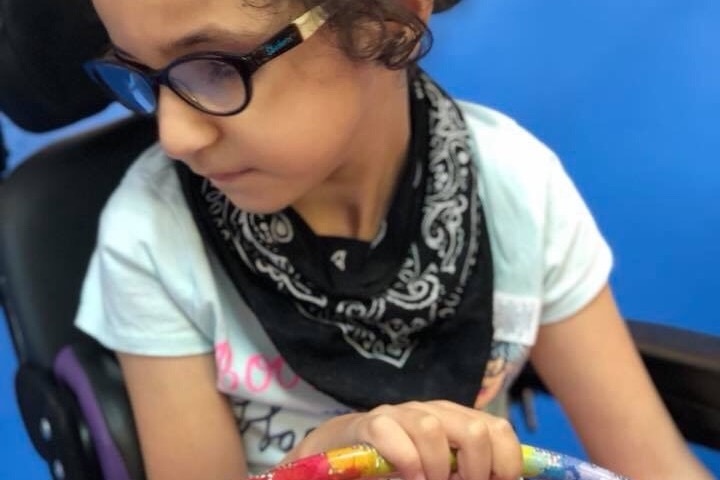 We are doing our best to keep going to ALL of Malak’s doctors’ appointments and therapy sessions, pay bills, and get all her medications and equipment (wheelchair, stander, etc), but we cannot afford a wheelchair accessible van to transport Malak safely and securely to her appointments and sessions. 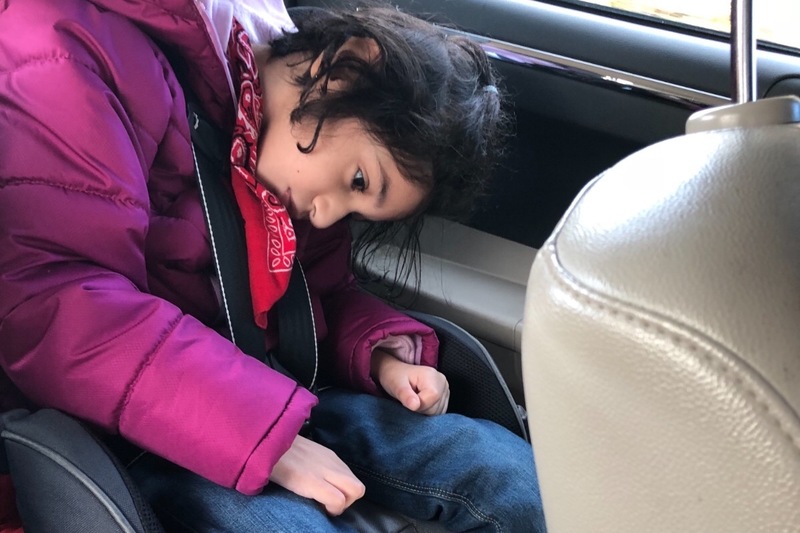 Going to all her appointments without appropriate transportation is really hard on everyone in the family—parents and her sister. 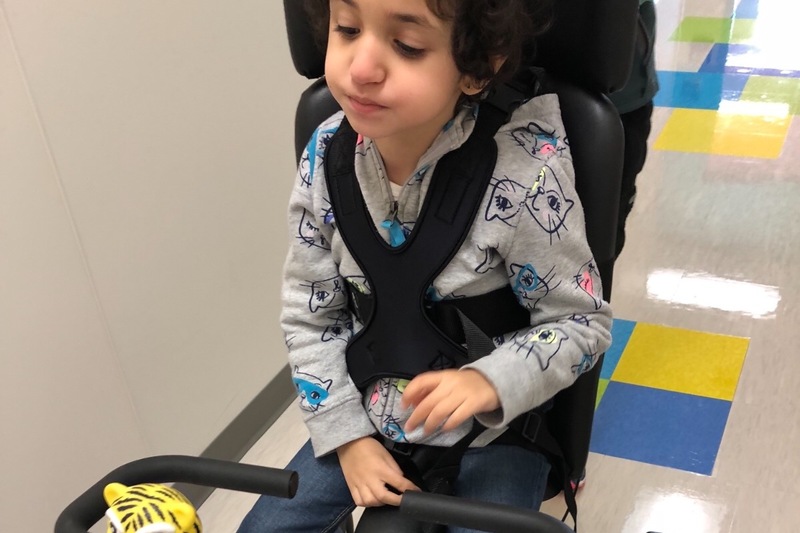 All that we hope for is your help to get a wheelchair accessible vehicle that will make Malak and her family life more convenient and accessible. In sum, there is always a way to help! if not by donating by spreading the word. I deeply believe that everyone has difficulties in this life one way or another, and at the end of the day this makes people better and shows them the true meaning of help and giving. Thank you for taking the time to read our post and Happy Holidays! Thanks to everybody who has donated.We really appreciate your support.We have been out of touch because of Malak's surgery, which was the insertion of a feeding tube. We hope that will be helpful for her, but it has added daily challenges for her daily care. We have been busy with post surgery care. We have a way to go to reach our goal, and if you could spread the information about our campaign that would be great.